As someone who began with ECM New Series releases long before easing into the world of ECM proper, my initial explorations of the latter led me to decidedly contemporary avenues of jazz and to a particular fondness for the many Norwegian projects represented by the label. Only in recent years have I begun to pan for gold in the massive back catalog that was produced before I was born, and among the many fine nuggets to emerge from the sediment is this most splendid effort. Phenomenal wind work from Braxton and Rivers makes this a decadent studio treat, grinding out equally captivating solos, whether over a tight rhythm section or in the throes of a looser backdrop. 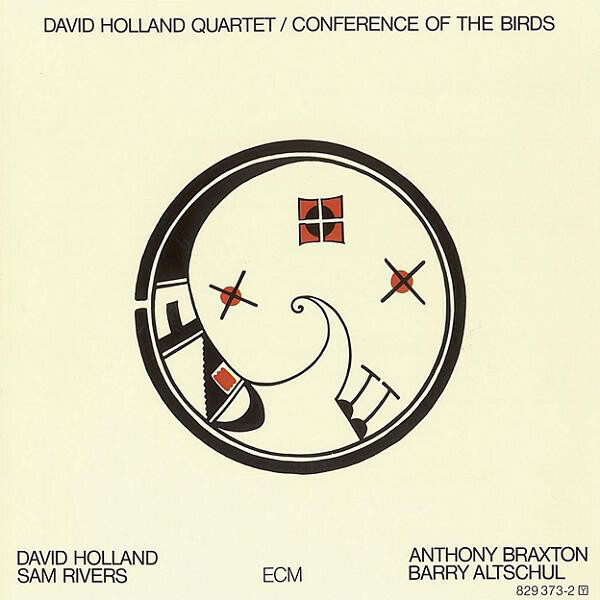 Though easily billed as a “free jazz” album, Conference of the Birds remains a fine testament to a relatively accessible strand of the form. A child of the post-bop generation, Holland takes the back seat for the most part and lets his reedmen take center stage. Whimsical elements such as the unexpected coach’s whistle in “Q & A” comingle with the solid relay races of “Four Winds” and “See-Saw.” The title track provides the most delicate textures on the album with its effortless flourishes and gorgeous bass intro, acting as a fragrant palate-cleanser before launching us into the ecstatic free-for-all that is “Interception.” Each cut has its own distinct flavor, lending a vibrant anticipation to every break. 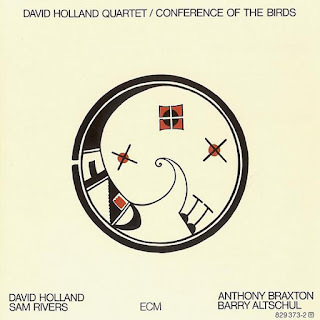 Conference of the Birds is special to me for at least three reasons: (1) It evokes an important period of musical and political transition that I will never experience directly. Moods are wrought in iron and blown glass, so that no matter how many times the structure is destroyed, one can always melt the pieces down again into something new. This was a time in which the entire world was either on its knees or throwing off the shackles of normalcy in favor of unrestricted forms of expression. This duplicitous spirit of oppression and liberation is embodied perfectly in the sounds. (2) One can trace a dark and lasting thread from Holland’s early work to the present. This set in particular allows us to see his foundational strength, the whimsical order for which he has become so well known. 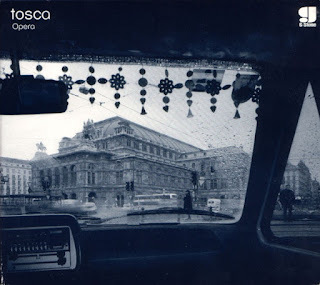 (3) This album is, for me at least, one example of what makes jazz so uplifting: a spirit of shared knowledge, a hermetic seal ruptured for the sake of communal awareness, and the letting go of one’s own inhibitions amid an unforgiving social order. Offer it your hand, and you may be surprised where it leads.